The oceans are complex mediums whose nature provides ample opportunity for an enemy to avoid detection—weather, sea states, and coastal land masses all present considerable challenges to modern sensors. Peacetime economic use of the seas complicates this problem enormously. The oceans are the world’s foremost (and most unregulated) highway, home to a vast and wide variety of international neutral shipping that possess no apparent threat. Determining the enemy in such a crowded and complex environment is difficult during conventional war, during an asymmetric conflict such as the global war on terror (GWOT), it is a formidable task. 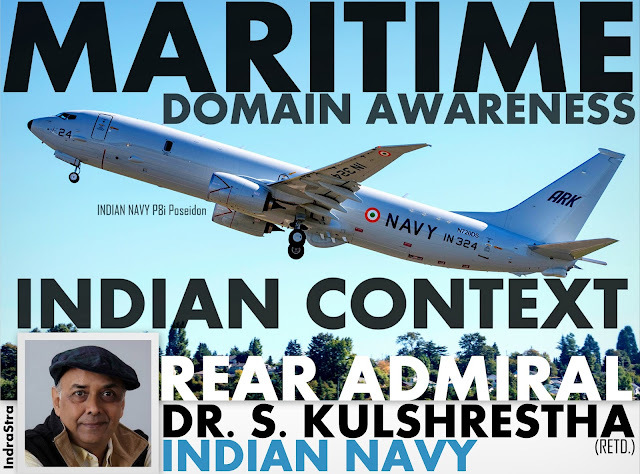 Maritime Domain Awareness is "the effective understanding of anything associated with the global maritime environment that could impact the security, safety, economy or environment of U.S. This is accomplished through the integration of intelligence, surveillance, observation, and navigation systems into one common operating picture (COP) that is accessible throughout the U.S. Government". Unlike traditional naval operations, it is apparent that the goal of MDA is far more than simply looking for potential maritime enemies poised to attack India. The implications of “Anything associated” with the maritime environment that can impact the security, safety, economy or environment go far beyond a classic maritime threat. As per the US interpretation, these include smuggling of people or dangerous cargoes, piracy, proliferation of Weapons of Mass Destruction (WMD), identification and protection of critical maritime infrastructure, oil spills, weather, and environmental concerns among other events. Maritime events that could potentially impact India are not the only wide-ranging element of MDA it is also essential that threats be identified as early and far from the coast as possible. The global nature of MDA activities occurring overseas and in foreign ports is very much a part of MDA. For example, if a cargo is loaded in Aden and its ultimate destination is India (via several other international ports), the loading, transport, security, and all matters associated with that container would be part of MDA. MDA must therefore be exercised over all oceans worldwide, and potentially cover all maritime interests that ultimately impact India. 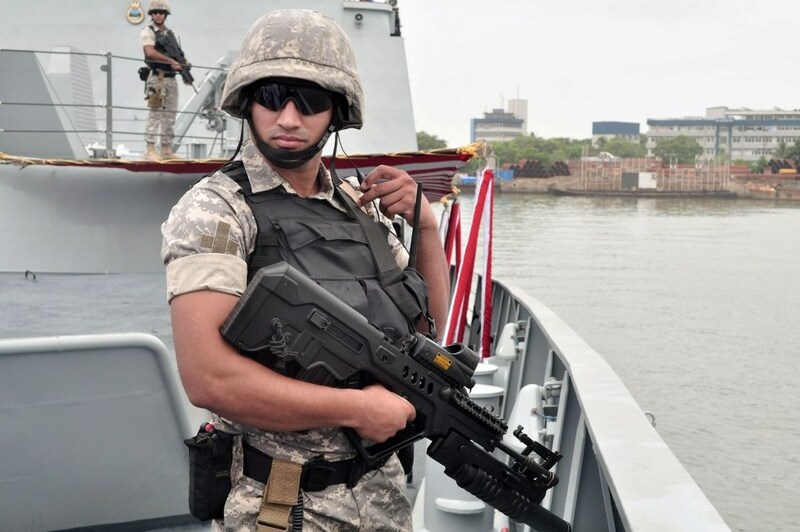 Putting in place an effective MDA is a herculean task viewing the range of potential security challenges and enormous geographic area represented by the maritime domain. In India a plethora of agencies possessing a wide range of operational and intelligence capabilities would require information fusion under the over-arching MDA. 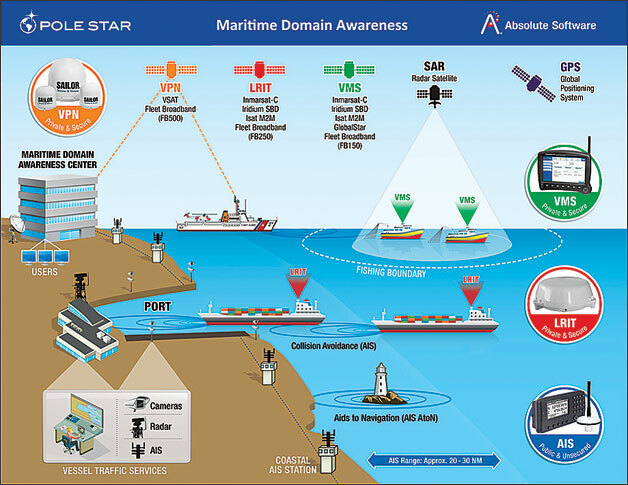 Although many factors are considered in MDA, its core process is ultimately the monitoring of vessels and the vessels’ cargo, crews, and passengers to rapidly generate geo-locating information on vessels of interest. This is an analytical process that includes tracking, data base searches for unknown linkages and anomaly detection. Fundamental to this is the detection, monitoring, tracking of vessels. This tracking process is comprised of five elements designed to focus on a narrow area of tactical dimension where threats can be identified and isolated namely; maritime surveillance, detection, tracking, classification & identification and targeting. Targeting involves interpreting detection and identification information fused with intelligence to sort vessel intentions and determine risk. MDA’s core is applying the vessel tracking process to a layered defence model centred on the coastline of India, the ultimate goal of which is to detect potential threats early and as far away from the Indian coastline as possible. 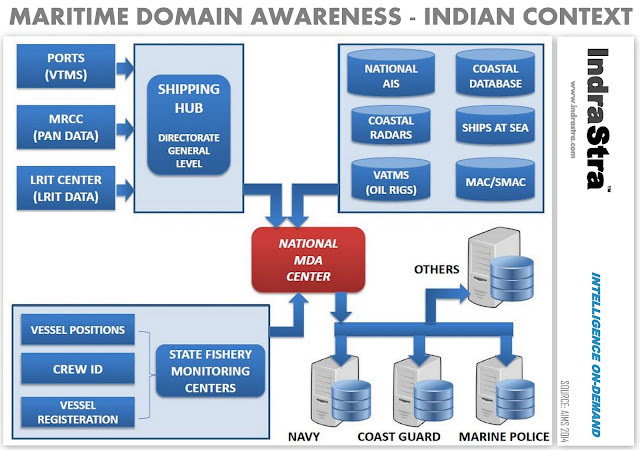 As there is no single high value unit to protect MDA “layers” are expanded to include an entire coastline with the overall goal of coordinated surveillance. Not all areas in these “layers” are considered equally, but rather additional attention is given to areas that are potential targets for the terrorist/enemy. The US has the 2000 nm limit of the Maritime Detection and Identification Zone-MDIZ it is based on the legislated 96 hour notification requirement for foreign vessels entering U.S. ports. A vessel travelling 20 kts will arrive at its destination in roughly 96 hours. MDIZ’s aim is to gather more timely information on the vessel as it approaches closer to the U.S. coast. When entering the MDIZ, positions every four hours are the norm while in territorial waters the goal is to obtain positional data every 3 minutes. There are many systems that could provide a high degree of surveillance and tracking data, but the actual fusion of this data remains a problem area. In order to derive a comprehensive MDA picture, information needs to be fused, correlated, and analysed and for it to be relevant to national security it must be designed to operate cohesively at tactical, regional and strategic levels. - Launch of GSAT7 satellite in geosynchronous orbit by lSRO, with Rukmani terminals (ex Israel) placed on Major warships for instantaneous data transfer to meet the requirements of the Navy. ISRO is also likely to put in place by 2013 the Indian Regional Navigation Seven Satellite System (IRNSS) which would provide data within 1000 miles of India. - Setting up of The National Command Control Communication and Intelligence network (NC3IN). - The setting up of a radar chain (X band AIS receiver VHF and Electro-Optics) of 46 sensor stations being linked with the AIS inputs (Covering the entire Indian coast), LRIT (Long Range Identification & Tracking) and VTMS (Vessel Traffic Management Systems). Coastal plots are maintained by the ICG Regional HQs to support the Joint Operations Centres (JOCs) set up next to naval maritime operations rooms (MORS) in all naval commands and at New Delhi. - Setting up of Multi Agency Centres (MAC) for intelligence inputs and reports. - Registration of fishing vessels by states, and provision of battery operated Distress Action Terminals (DATs) for vessels below 300 tons. DG Shipping would provide smaller fishing boats with AIS transponders which has enforced ISPS code for Port security with port security plans. Providing Biometric /recognition identity cards for fishermen which can be identified on a machine on board surveillance platforms. 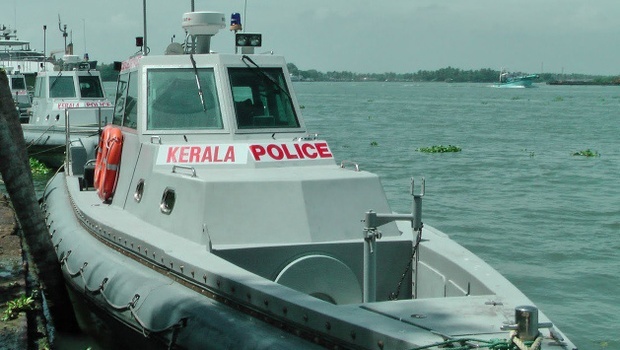 - Setting up of a Marine Police force with 73 Coastal police stations across 9 states and provided with 5 and 10 ton craft which can patrol inshore waters. - A continuous synopsis of record of shipping with World Customs Organisation has been enforced and MARSEC (Maritime Security) levels are exercised and coastal villagers educated on need to be vigilant by the IN and ICG. - The Indian Navy has instituted Marine Commandos Rapid Reaction Forces and a Sagar Prahari Bal (SPB) of 100 seamen who are being equipped with 80 fast interceptor craft (FICs) for protection of naval bases, VAs and VPs. UAVs and Aerostats are also planned for induction. - Coordinated coastal and offshore asset patrolling has been strengthened by the IN and the ICG. - All steps for MDA are networked with the Indian Navy’s fleet of ships, submarines and MR aircraft. The Government of India has put in place a formidable plan for MDA, and the individual systems are being setup prior to final integration and fusing of data. It is expected that the MDA would be fully functional by 2015.